Real estate investment is all about identifying the right opportunity at the right time. Locations that see massive investment in infrastructure and industrialization are more likely to see rapid growth in the real estate sector. Here are four of the most promising cities in India for the year 2013, in terms of real estate potential. Ahmedabad, which has been among the fastest growing cities for years, is currently witnessing a construction boom and population explosion. The city has seen significant economic growth because of Tata Motor’s small-car project, and this has boosted real estate prices in and around Sanand. Ahmedabad has many premium and developing areas, and a significant number of high-income individuals. Despite rising prices of houses, properties are relatively affordable in the city, and land is also available at comparatively low rates. Kochi is an important port city, and is considered as the commercial capital of Kerala. It is also emerging as an important center for information technology and other related services. Tourism and trading in spices are the backbone of the local economy, but the region depends significantly on NRI investment. The International Container Transshipment Terminal in Kochi and various technological parks have significantly boosted the real estate market. More jobs equate to more families moving to Kochi. This has raised the prices of houses significantly. Coimbatore is the second largest industrial center in Tamil Nadu, after Chennai. The city is driven by the textile industry, along with IT and the health care sector. Increasing investment in various infrastructures and commercial projects will facilitate the growth of the real estate market in the city. Coimbatore has become a chosen destination for IT companies, especially due to the incentives offered by the Tamil Nadu government. Kochi-Coimbatore-Thiruvanathapuram is an emerging metropolitan hub. The Coimbatore-Tirupur-Erode industrial corridor will further significantly boost the economy of the state. Kota is a training hub for students aspiring for premier medical and technology institutions in the country. The city also boasts large factories in engineering equipment, chemicals and fertilizers. Emergence of various medium and large companies in and around the city has rapidly expanded the commercial and residential property markets. Abundant power and water, and good connectivity with Delhi and Mumbai are set to further help the industry in Kota. The city will also benefit from the east-west corridor highway project, with greater industrial activity and increasing demand for both commercial and residential real estate. Investing in emerging cities with great real estate potential will bring in rich dividends in the long run. Besides these four cities you may also want to take a look at cities like Vadodara, Rajkot, Mysore, Nashik, and Ludhiana as these are also among the fastest emerging real estate destinations in India. The last few years have seen the real estate market recover significantly from the post 2008 slump. Substantial investment in infrastructure and industry has boosted the growth of real estate sector in both small as well as large cities. Here are some of the best Indian cities to invest in this year. With several massive infrastructure projects in the pipeline, areas such as Noida Extension, Dwarka Expressway joining Dwarka and Gurgaon, Golf Course Extension Road, and New Gurgaon are likely to attract a lot of buyers in the form of investors and as well as end-users. Noida Extension has become one of the best investment locations in residential segment in recent years. The housing prices in the area are set to increase by up to 111% during the period 2012-2017, and property prices are expected to reach double the amount of the existing prices. 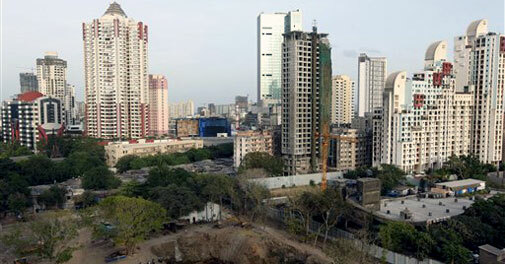 The real estate market in Mumbai is slated to pick up in 2013 after a dull period in 2012 when prices rose marginally by 2-7 %. Demand for mid-end segment properties is likely to rise in the eastern suburbs of Mumbai, mainly in areas like Kurla, Chembur and Wadala due to lower prices in comparison to areas in western suburbs and central Mumbai. Wadala and Chembur are two of the best places to invest in real estate in Mumbai. This is due to their close proximity to premium office spaces, and proposed infrastructure projects like the Monorail and the Eastern Freeway project. Hinjewadi, Tathawade, Ravet, and Wakad are four prime locations in Pune that look very promising for real estate investors. These areas are close to employment hubs in West Pune, and are strategically located on the Mumbai-Pune Bypass Road. Hinjewadi is popularly called as the IT village of Pune, which is the chief driving factor for the real estate growth in the area. Tathawade is more of an extension of Wakad in Pune, and is located just four kilometers away from Wakad. Ravet, on the other hand, is located on the eastern side of the Mumbai-Pune Bypass road, and is likely to gain popularity due to the employment growth in Hinjewadi. Wakad will attract investors because of its proximity to the Rajiv Gandhi InfoTech Park. Areas such as KR Puram and Hebbal are currently the most promising property destinations in Bengaluru. Hebbal has seen a healthy growth in the real estate segment even during dull periods, especially due to the establishment of the Bengaluru International Airport. Krishnarajapura or KR Puram lies in the suburbs of Bengaluru, and is fast becoming the most sought after residential destination after Hebbal. North Bengaluru is set to benefit the most from the new airport, and the region is expected to become the new Central Business District (CBD) of Bengaluru within the next decade. Market studies show that in the next five years, areas such as Medavakkam and Pallikarnai will see price appreciation up to 103 % and 93 % respectively. Pallikaranai has emerged as one of the popular employee residential locations in Chennai. This area is set to further gain popularity due to the upcoming monorail project connecting Vandalur with Velachery. Medavakkam is also set to see a boost in real estate sales, especially due to its close proximity to the Chennai Airport. Besides the cities discussed about you might also want to consider emerging cities like Ahmadabad, Kochi, Kota and Coimbatore, as these cities promise significant real estate growth in the coming years.